Advanced product design, reasonable structure, high pressure, flow, multi-file variable, energy saving, light volume, efficiency, plant life, safe operation, easy maintenance. Mud pump has less noise and dust, environmental operation. 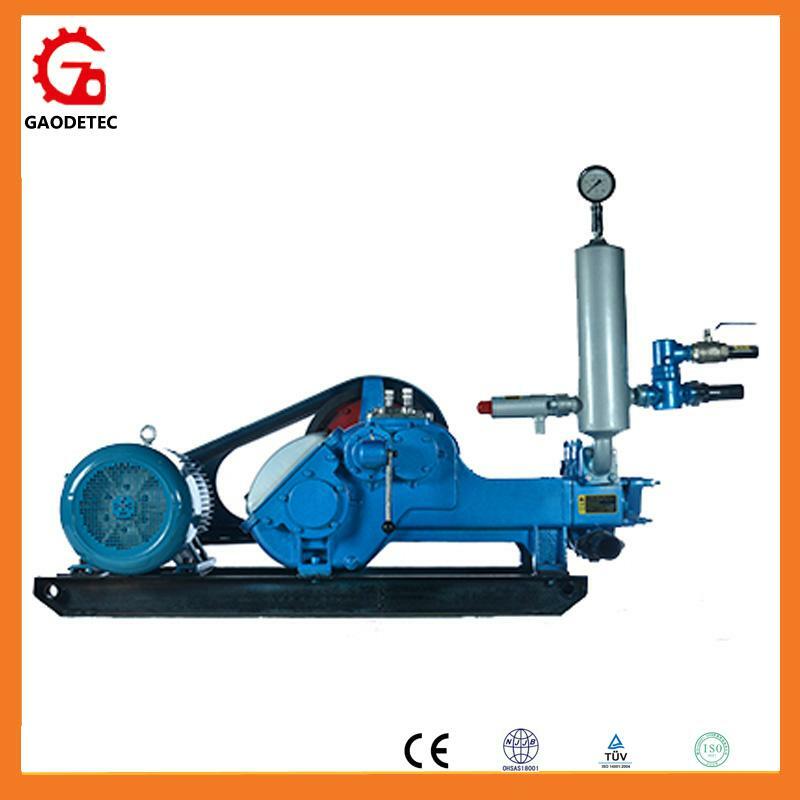 MUD PUMP is used to transfer WATER, MUD and other FLUSHING FLUIDS when drilling in water well, oil and gas well area. BW series MUD PUMP is used for conveying different liquids in petroleum, chemistry in industries. BW series Slurry Pump is widely used in railway, hydraulic engineering, metallurgical engineering, building construction, geological exploration, engineering exploration.